Globetrotting Texans! 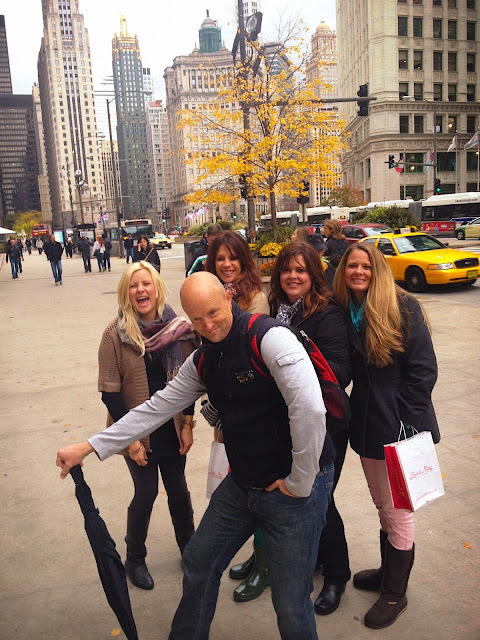 | It’s a "Windy-City" and that ain’t no lie! Home BYU games It’s a "Windy-City" and that ain’t no lie! 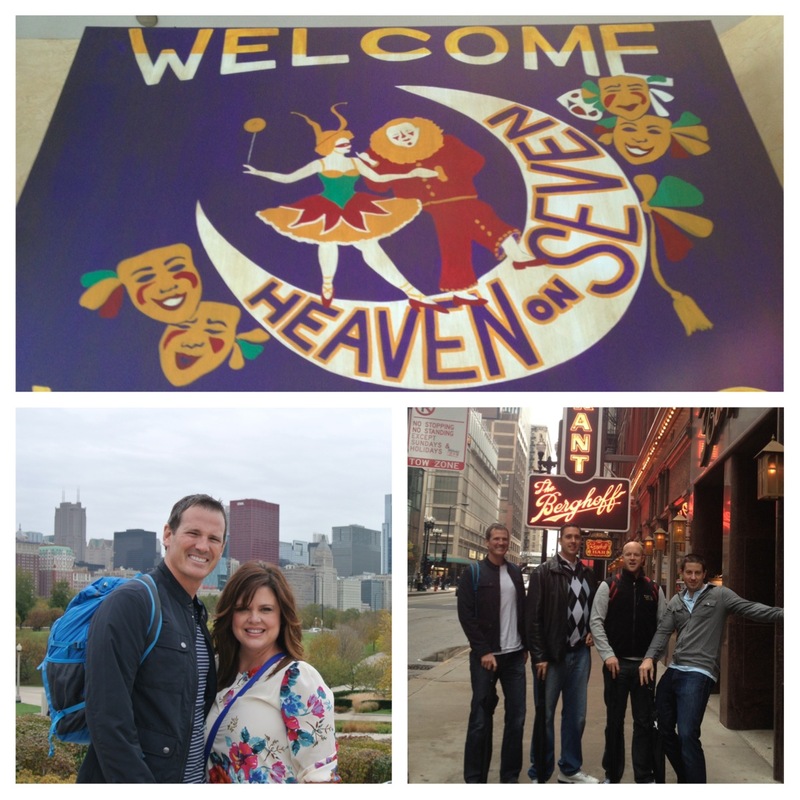 Our latest trip was to the great and historic city of Chicago! 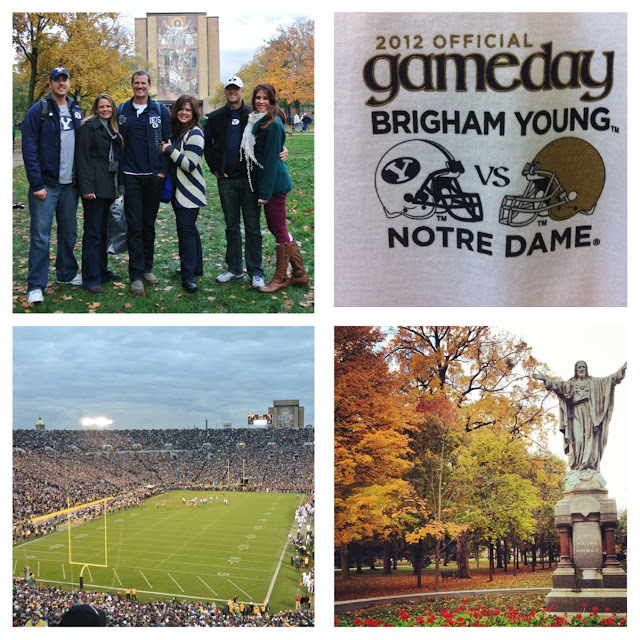 Trent had purchased some tickets to see the BYU vs. Notre Dame game in South Bend Indiana, and since that’s only a short 95 miles away, we decided to make a long weekend out of it. We had three couples meet us up there for this fun get together. After countless emails between us, about what we would do while we were in Chi-Town, I decided to take the bulls by the horns and get planning. I had received lots of suggestions from friends, and friends of friends, but it took me a few hours to get online and nail down a plan. 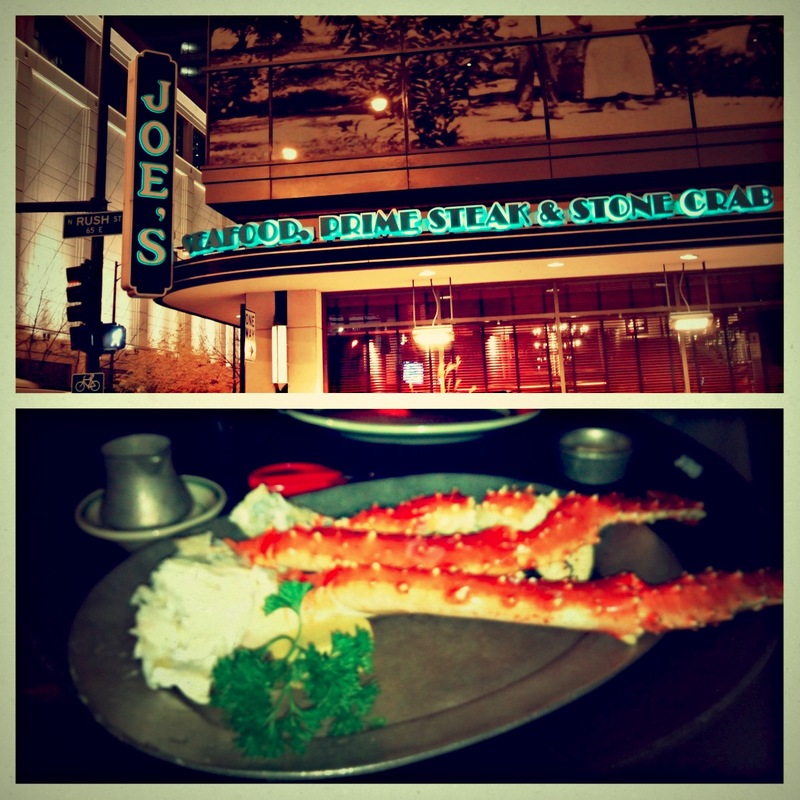 I had been given the most suggestions of places to eat and just a few recommendations of what we should do. One of the things that was recommended was going up to the Sears Tower, now known as the Willis Tower or aka the Sky Deck Tower. 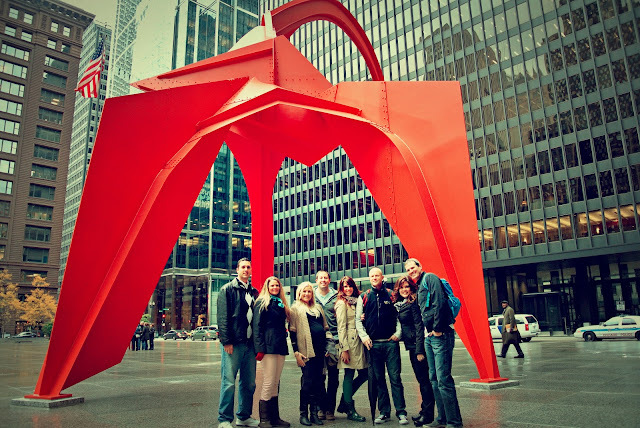 Other recommendations were going to the planetarium, the Field Museum, Shedd Aquarium, the Hancock Tower, and the Art Institute of Chicago. After looking at a few of these places online, I found that buying a City Pass was the way to go. 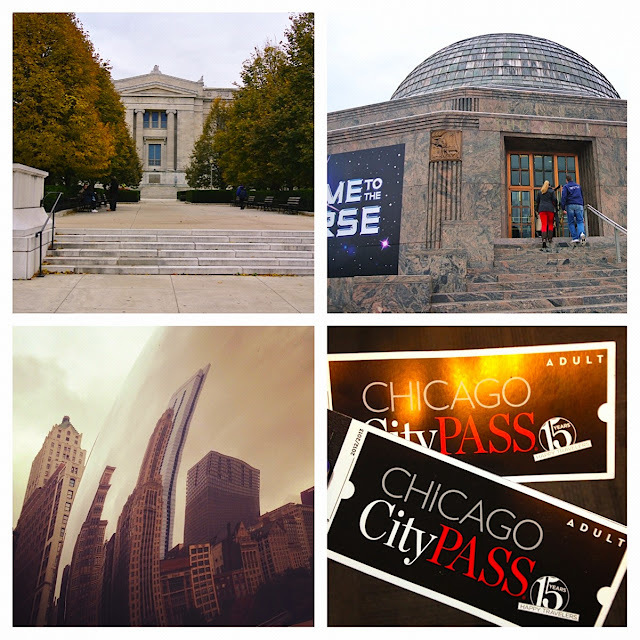 Each one of these venues costs anywhere between $20 for going up the towers or $30-40 entry fee for the museums and the City Pass was the best bet for seeing as much as we could in the three short days of our Chicago stay. With the City pass we could see Chicago’s five must-see attractions for one low price of $83 per person. The CityPASS included a Fast Pass ticket to Sears Tower/Skydeck Chicago including The Ledge; plus admission to: The Field Museum & Underground Adventure, the Shedd Aquarium, the Adler Planetarium OR Art Institute of Chicago, and either the John Hancock Observatory OR Museum of Science and Industry. This was a great deal and so we all purchased our city passes and headed for Chi-Town. Our first stop was to the Field Museum and Underground Adventure. 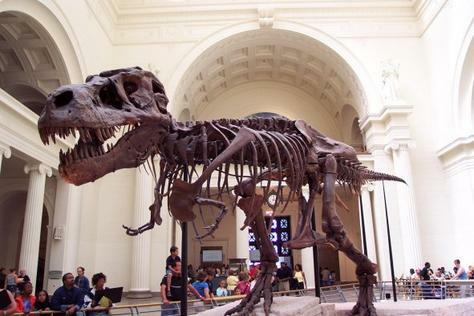 The amazing thing about this museum is that it holds the most complete skeletal remains of “Sue, the Tyrannosaurus Rex”. I had no idea what I was in for going to see this exhibit, and we had the chance to watch the 3-D movie that was included with our admission. The website fieldmuseum.org gives lots of great information about all that there is to see at this museum. As we adults sometimes do, some of us pressed ahead ready for the next location while others dawdled and read a lot of cool facts of our pre-historic past. It seriously was cool to see “Sue” in real life and I could only imagine how fun this museum would have been for our kids. 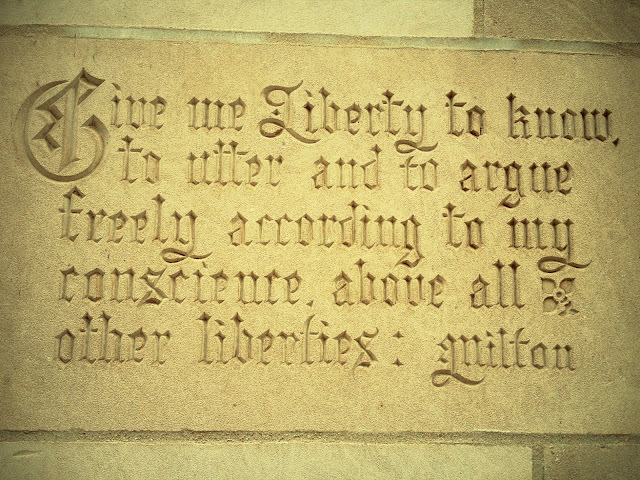 Between all four couples we have a total of seventeen (and a half) kids and as we ran through each museum exhibit, we couldn’t help but think how much our kids would have loved this place. Also more evidence why I should never wear hats! These two museums plus the Shedd Aquarium www.sheddaquarium.org are all located here on LakeShore Drive on what is called “Museum Campus”. Since we had our good friend “S” who was over seven months pregnant it was nice to have these great museums so close together and within walking distance of one another. Our next days adventure started with visiting the Hancock Observatory and going to the very top. More info can be found at jhochicago.com The views were spectacular and stretch over four states. The forty second elevator tour takes you up, up, up to a thousand feet above the city. It claims to have the best views of Chicago. 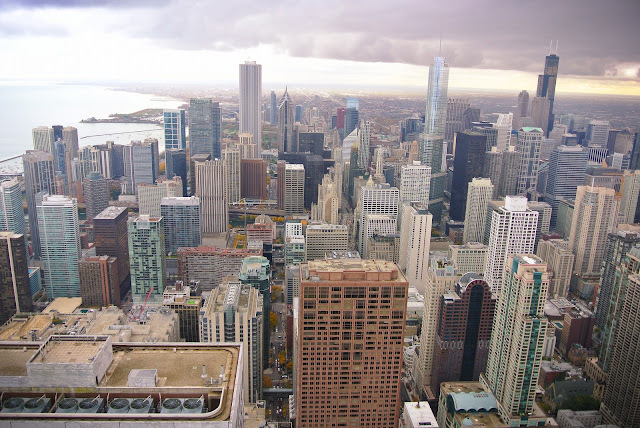 This website will give you a better idea when planning your trip jhochicago.com Amazingly there is even a cafe up top which is something I haven’t seen at the top of skydecks or towers before. Moving on through our list of things to see in Chicago we walked the half mile from Hancock Observatory over to Millennium Park to see the Cloud Gate landmark. From the website gochicago.about.com it reads, “Cloud Gate — referred to by locals as “The Bean”, for obvious reasons — is a public sculpture by talented British artist Anish Kapoor. 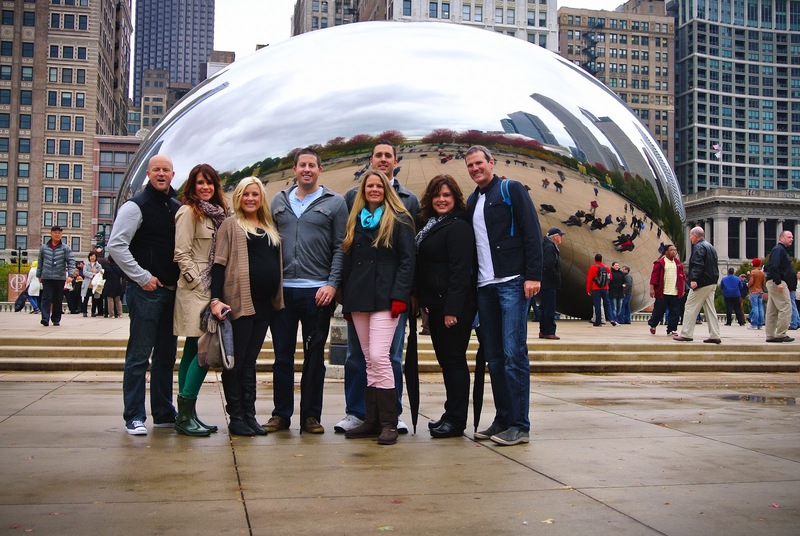 Cloud Gate weighs in at over 110-tons, and is 66 feet long and 33 feet high. “The Bean” was created using a huge number of individual stainless steel plates — Cloud Gate’s seamless surface is the result of thousands of hours of polishing.” I felt like I should add that little fact about the seamless structure of all the stainless steel plates because it really is amazing to see in person. I truly thought it was one piece of metal when seeing it up close. It is cool landmark to see and very recognizable from movies such as Source Code and The Vow. From Millenium Park we continued our walk up Michigan Avenue and soon reached Ohio Street which is the intersection of Heaven on Seven. This was a cajun style restaurant with a delicious corn chowder that was perfect for warming me up on the cold fifty-five-degree weather we were enjoying. Moving on we finished our day at Navy Pier ( www.navypier.com ) walking around only about twenty-five percent of what this landmark had to offer. 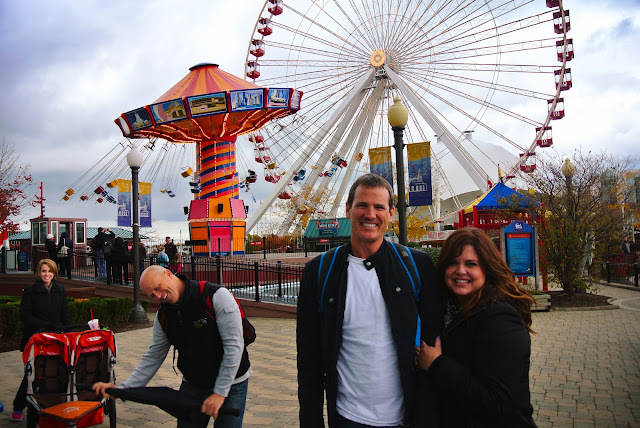 We were so exhausted from going just half a mile from one location to another that by the time we made it to Navy Pier we were all exhausted. We wasted time watching “The Haunted Castle” at the I-Max theatre. I don’t use the word wasted lightly it truly was an awful movie that wasted our time and money. The only thing we were grateful for was the time off our feet. My sister-in-law “T” and her husband “R” enjoyed riding the ferris-wheel but these Texans were in for some cold temperatures riding to the top at sundown. At this point we had purchased tickets from SeaDog Cruises www.seadogcruises.com for a architectural/haunted tour that would ride up the Chicago River through the locks to the Willis Tower. 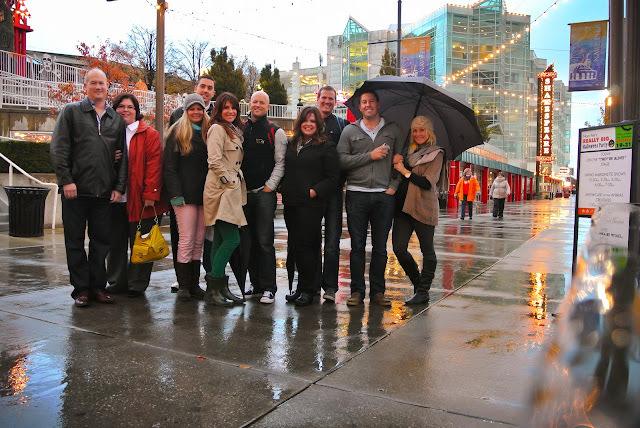 We felt this would be a great way to see the lights of the city and enjoy a late ride with our honeys. I will tell everyone to beware of this tour. It would have been better if they had just let us know that we would not be learning any real facts on this tour and were in for just a ride up the Chicago River. As a bit of a historian buff I was excited to hear some of the building facts and maybe some true haunted stories of the area but instead we got a poor actors trying to portray characters from Chicago’s past, and since one of the characters was a man dress up like a cow who had started the Great Chicago fire, I wasn’t impressed. Needless to say I could have done without the man/cow on board our tour. 😉 This is the one part of our trip that I wish I had used another architecture tour guide instead of being lured in by the idea that this would be a haunted tour. 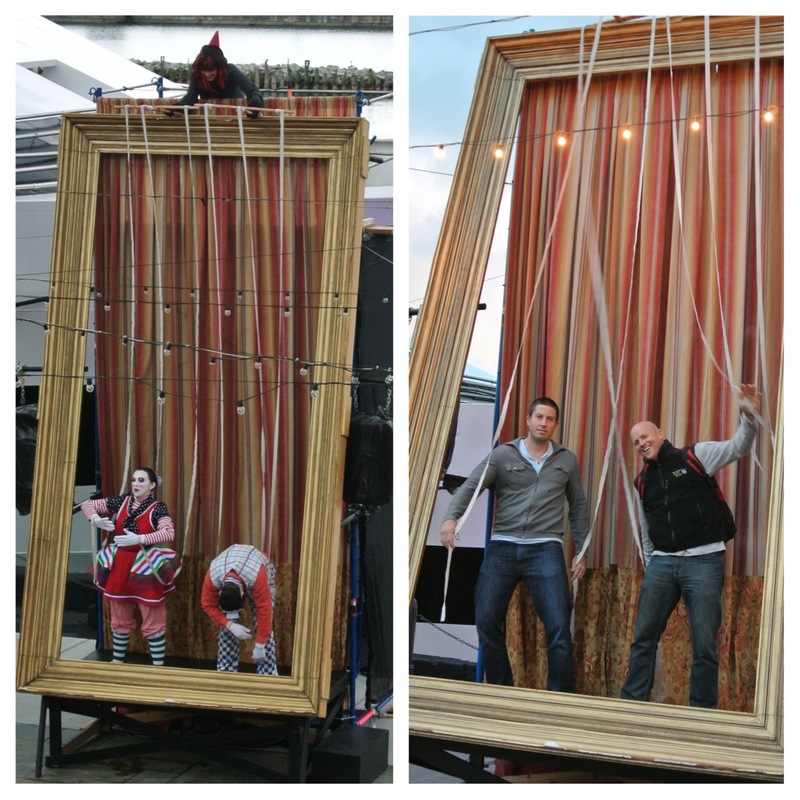 Okay it was October… can you blame me for trying? Our last stop for this second day of events was a wonderful dinner at McCormick and Schmick’s Seafood. www.mccormickandschmicks.com Our food was again delicious and even better since we were joined by even more friends and surrounded by BYU fans getting ready for the next days game. 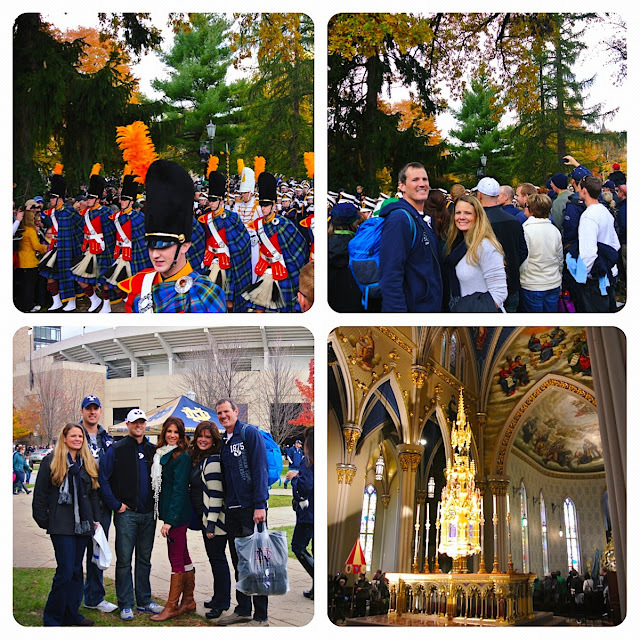 The next day we started our hour and a half drive over to South Bend, Indiana, and enjoyed the pre-game festivities on campus of Notre Dame. We toured the Grotto of Our Lady of Lourdes, The Main Administrative Building (where the band trumpets play before the game). We visited the Basilica of the Sacred Heart (where we ran into Mitt Romney’s son, Tagg. 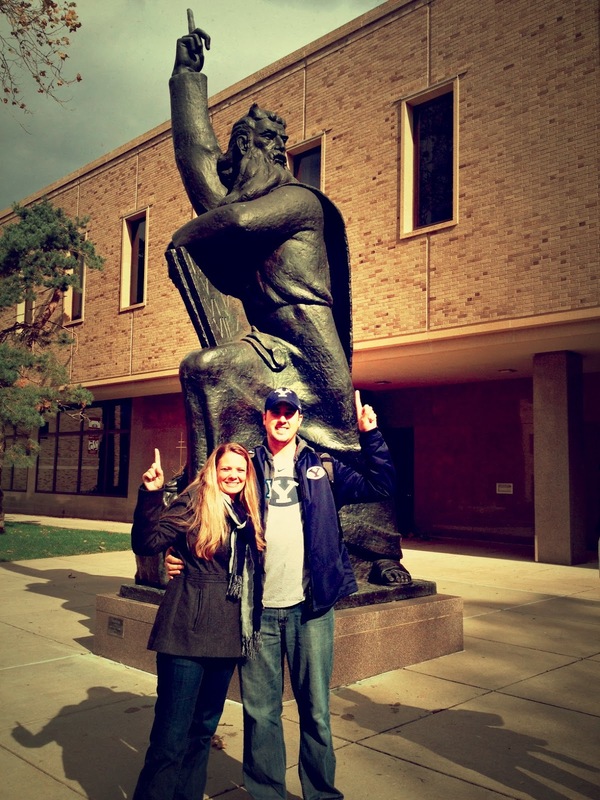 Then onto famous sites like the statue of First-Down Moses, and the mural of Touch-down Jesus. ( I know my mom who is reading this post has just broken into a cold sweat reading that last sites title.) It was a beautiful campus especially with the accented leaves of fall dotting the landscape. After a disappointing loss we packed ourselves up and headed back to Chicago. Our night ended with one last fabulous Chicago-style pizza at Giordano’s where we said our goodbyes to our traveling couples group and returned to our hotel for one last night away from the kids. 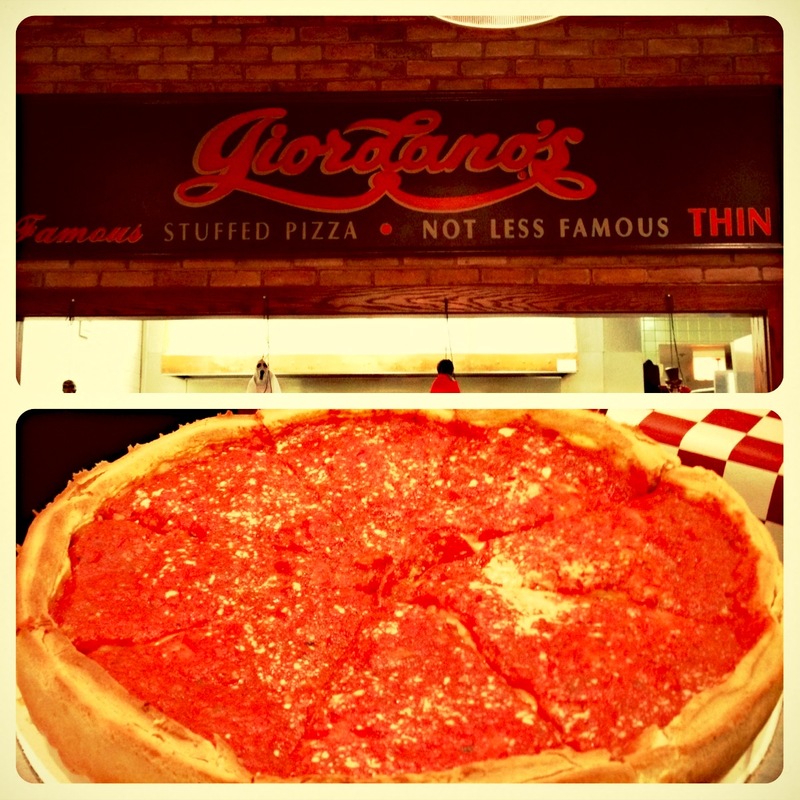 Giordano’s was fabulous as well and made all our dining experiences in Chicago superb! www.giordanos.com I just love that I can share these websites with y’all so you can see for yourselves if these restaurants look appetizing! Well that’s our latest and greatest trip. 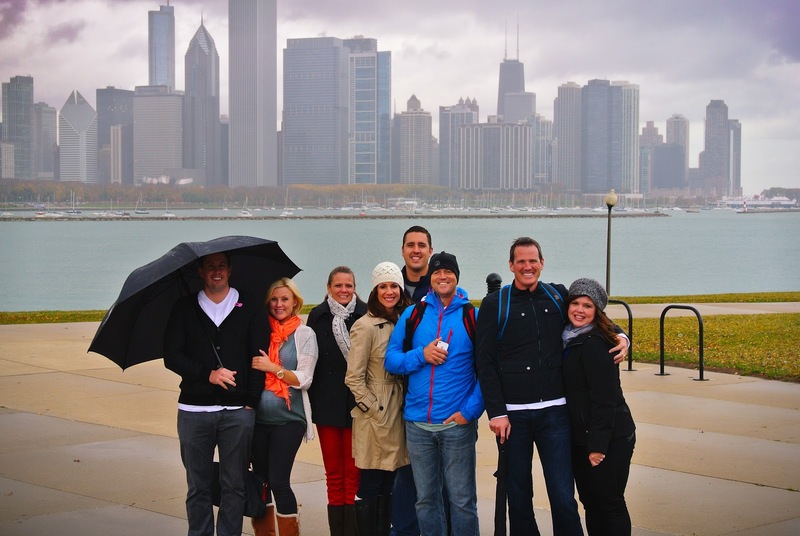 Hope the next time you plan a trip to the “Windy City” you can use some of these recommendations. As always Safe and Happy Travels!! Negotiating Mexico City; Learn the best negotiating skills!